If you are at beginner or intermediate level in Japanese, then I recommend checking out JapanesePod101. This website offers a vast array of podcasts and resources for learning Japanese. Definitely one of the best options out there for those of you looking to master conversational Japanese. Once you are ready to make the jump, you can challenge yourself by listening to podcasts originally intended for Japanese people. The great thing about using podcasts for native speakers is that there is no dumbing down. You get exposure to how the language is really spoken. Yes, it will be tough to start with, but it doesn’t get any harder than this. With consistent exposure and a dictionary on hand, you will make great progress with your Japanese studies. I daresay you will also learn a lot about Japan and how Japanese people think. 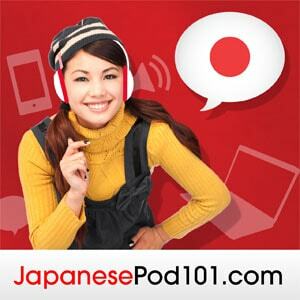 The daily news podcast by NHK is a fantastic resource for the serious Japanese learner. This free podcast is popular with Japanese expats abroad who want to keep up with the latest news. NHK is the national broadcaster of Japan, similar to the BBC in the UK. You can therefore rest assured that the Japanese language used in this podcast is exemplary, which could be ideal for those taking the Japanese-Language Proficiency Test. The length of the podcast is usually around 15-20 minutes. It’s a great way to refresh and expand your Japanese knowledge. The perspective is international news (as opposed to Japan domestic), so you could even replace your normal news consumption in English with this one. This is a current affairs and general interest talkshow that does a great job of touching upon issues from around the world. They invite expert guests to talk about a particular topic, usually in interview style. I really enjoy the free-flowing style – it’s natural and informative without ever getting too formal or stilted (as opposed to what you might see on a current affairs show on Japanese TV). Highly recommended listening! This talkshow has been around for years now and is probably the most popular podcast in Japan. I still remember the first time when I hit the play button and said to myself “Damn, I don’t understand anything! Is this even Japanese? !” As you might expect from talk radio, the speech is rapid and colloquial. The hosts constantly jump around topics (often from previous shows) and use a lot of irony. I’d say that this is a particularly challenging podcast , but with some repetition and familiarity with the format you will get used to it. In any case, regular exposure to this kind of content will greatly boost your casual Japanese, as the chat style is close to how Japanese guys actually talk to each other in real life. Takeda Kunihito is a prominent Japanese academic who has courted controversy in Japan due to his views on global warming and other scientific issues. In this podcast, he talks about not only scientific issues, but politics, economics, international relations, philosophy and history among others. Kunihito San is a very eloquent speaker of Japanese. His style is clear and precise. The show tackles a wide range of subjects in monologue style, making this among the more enjoyable Japanese podcasts to listen to. So there you have it. That was my summary of the best Japanese podcasts that I have found so far. I’m sure there are many other good ones out there. Do you know of any? Let us know in the comments!